We love the Bible and don’t make excuses for that. We believe in the life-transforming truth of God’s word. We believe the stories told in the Bible are both real and meaningful. We read, study, teach, preach, pray, memorize and obey scripture, because we have found it beautiful, powerful and inspiring. This fall we will put new action and commitment to our love of God’s word with a Bible-reading pro-gram called Immerse: Messiah. The idea is simple: read through the entire New Testament together and meet during Sunday School each week this fall to discuss what we have read. I hope many of us, not just those who regularly attend Sunday School, will take up this challenge, and I believe that all who do will see their faith deepen. Colleen Felts, John Loven and I will lead discussions each Sunday, and because we know God’s word speaks to people of all ages, the Sunday School class will be for adults as well as youth. Immerse was developed by Tyndale Publishing, using the New Living Translation. The books of the New Testament are arranged following themes rather than the traditional canonical order, and the words of scripture are printed without chapters and verses. Publishing the Bible in this format is intended to help focus readers on the words and flow of each book. Too often, we treat the Bible like a reference manual, reading it in bits and pieces while ignoring the larger context and overarching themes. Reading an entire book, like one of the Gospels, in a single sitting helps us make connections between stories and recognize important theological ideas the author weaved into the nar-rative. In the same way, reading the entire New Testament in this fashion can help us grasp the whole story of Jesus and His followers. Listening to and learning from other believers helps us understand and apply the words of scripture, often in ways we had not considered on our own. What stands out to you may have been missed by someone else, and in turn, you may discover new insights through what others share. By studying the Bible together, we help one another unpack the vast richness of God’s word and allow the Spirit to carry its truth into our hearts in new ways. Immerse has been used in many Covenant churches over the past two years, and I know several pastors who strongly recommend it. Some churches have even taken on reading the Old Testament in the same way. We will make the Immerse: Messiah books available later in August, along with the reading schedule for the fall. 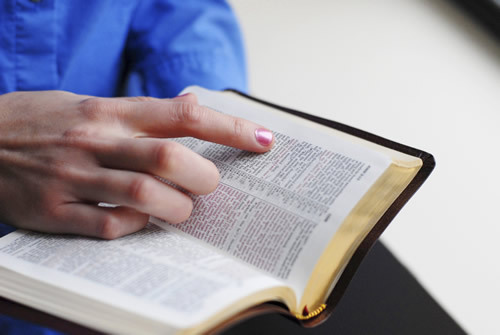 Sunday School begins September 9, and we hope to see many people participate in this class. If you are not able to attend Sunday School, I hope you will still follow along with the reading schedule so the whole church can benefit from reading the New Testament together.